Social media is one of the easiest platform of disseminating information these days. However, those information shared on these social media networks can greatly affect a country either in a positive or negative way. Unfortunately, social media has been one of the major keys used in spreading violence around world. From religious violence in India to political instability in Brazil and civil unrest in countries like Turkey and Cameroon, social media has played a major part in influencing these violence. Now two men has suffered an unfortunate fate due to fake news. 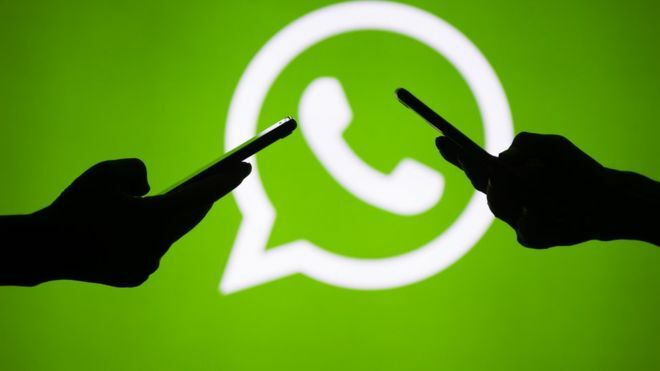 Two men in San Vicente Boqueron, Mexico, have met their untimely death when they were wrongly accused of kidnapping children and selling off their body parts amid a WhatsApp rumour of a kidnap syndicate which specialized in selling children's body parts. The whole issue began when a rumour began to spread on WhatsApp, talking of a "plague of child kidnappers" which had entered the country and targeted children for the purpose of trafficking their organ. The rumour went on to say that some children aged 4, 8 and 14, had been found dead with their internal organs ripped out. "In the past few days, children aged four, eight and 14 have disappeared and some of these kids have been found dead with signs that their internal organs were removed. Their abdomens had been cut open and were empty." According to Linda Ikeji's blog, Ricardo Flores, a 21-year-old law student, and his uncle Alberto Flores, a 43-year-old farmer, were accused by locals of disturbing the peace after they were spotted near an elementary school. The blog explained that the two were buying construction supplies for a water well when the locals labeled those the accusation on them which led the police to arrest them. However, their arrest fueled the spread of the rumour which had been spreading on WhatsApp. In anger, the locals rallied up and stormed the police station, while demanding for the arrested men. The police at the station tried to placate the mob as they assured them that the men had not abducted any children. However, the mob remained unconvinced. Over powered the police men, broke into the cell and then dragged the men out. The mob beat the men, and then poured petrol on them and then set them ablaze. The lynching of these men was live streamed on Facebook, and Ricardo's mother Guadalupe who had been alerted of the event pleaded with the crowd, posting a comment on the live stream telling them that the two were innocent. "Please don't hurt them, don't kill them, they're not child kidnappers," she said. Despite her plea, the crowd went ahead and burned the men alive as the mother watched in horror. The crowd numbering about 150 in number cheered and applauded the sick act. The State Attorney General of Puebla state has said the killings of the two men was due to false rumours, and the case is being treated murder. So far, state authorities say about five people have been arrested and charged with the killings, while four others have been charged with carrying out the murder. To curb the spread of fake news, WhatsApp introduced the preview feature in its beta version to make users have a glimpse of what they are about to share, giving them that moment to retract their decision to forward a message if the content wasn't ok.